Authentic Karanataka style Bisi bele bath recipe is in my try list for years i should say.I have tasted it in few restaurants here and in some of my friend’s houses.But still i have not yet tasted this awesome bisi bele bath in its birth place,yes in MTR restaurant. I had been to MTR once with my friends but unfortunately i couldn’t taste bisi bele bath in their full meals menu. Instead they served some veg pulao which i didn’t like it too.I found from the waiter that bisi bele bath is available only on Sundays. Long back i had shared South Indian style bisi bele bath recipe but that’s just our Tamil nadu version.So i always look for the recipe of authentic Karnataka style bisibelebath and i have tried quite a few of them from various blogs.Of course they tasted good but still i felt something was missing. When i asked to share the correct recipe to my school moms friends,some of them told me to use MTR bisi bele bath powder (BBB powder) but Nagalakshmi shared her family recipe with powder. 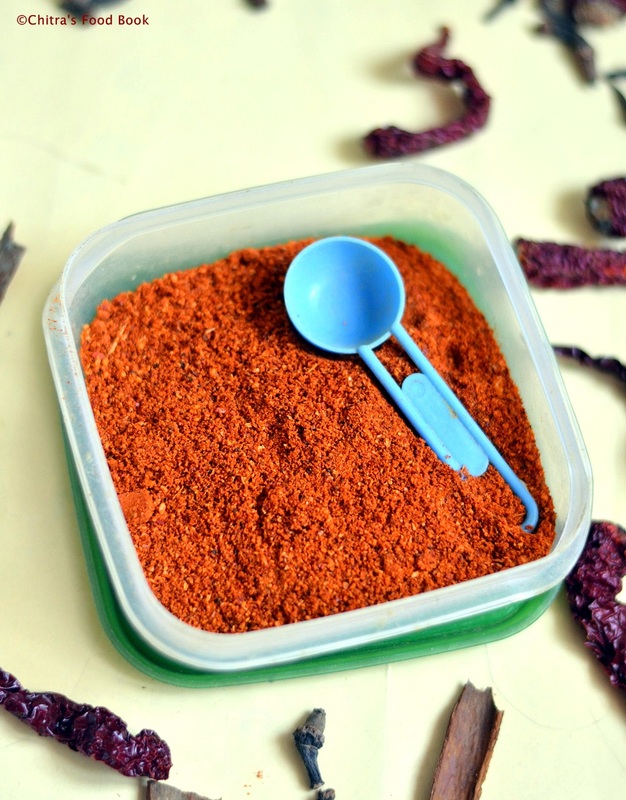 Based on the ingredients she told & by watching an youtube video, i tried this bisi bele bath powder at home for the first time.I also prepared bisibelebath rice using this fresh,flavorful,homemade powder. It came out really well & the taste was awesome! !It was just upto the mark as i expected.We all loved it especially my in-laws.So this powder is the star ingredient to make a perfect bisi bele bath. Hence i wanted to showcase this powder recipe by making a separate post.Once u make n store this powder, u can prepare bisi bele bath in just 15 minutes.Ok,lets see how to make bisi bele bath powder at home easily.Sorry,i couldn’t take stepwise pictures as i was in a hurry.I will try to update this post with step by step pictures.My next target is to make a perfect vangibath powder. Hope I will do it very soon. 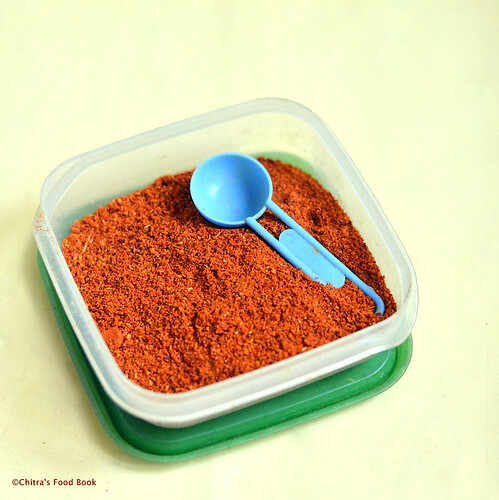 Please check out my Bisi bele bath recipe using this powder. Homemade bisi ble bath powder recipe - Fresh n flavorful ! Take all the ingredients given above.Heat oil in a kadai and roast all the ingredients in medium flame till u get a nice aroma.Roast it patiently in medium flame else the ingredients may get burnt. Once they cooled down,grind them in a mixie jar.Store in an air tight box after the powder is completely cooled down.Use a clean,dry spoon to handle. 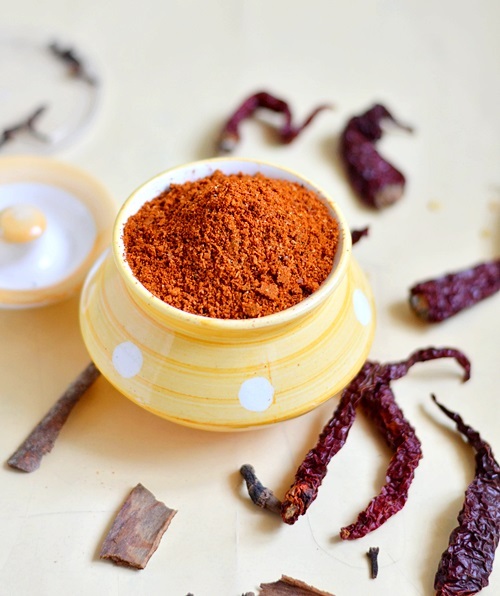 Adding byadge red chillies is a must to get the nice red color in bisi bele bath powder as well as rice.So do not skip it. Stays good for a month as we have not used coconut.But use clean,dry spoon while u handle.Also store in an air tight box. Make n store this flavorful homemade bisi bele bath in an air tight box.Stays good for a month ! 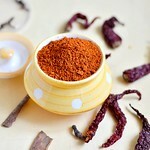 Powder looks so spicy.When we have this powder then in no time bisibelabath can be prepared. A very flavourful powder!!! Looks so colourful..
Flavourful powder! Looks great. Thanks for sharing. i used to prepare the powder at home,bt nw im addicted to mtr bisibelebath,i stop preparing by own,urs recipe is vry close to mtr powder it seems...so soon gonna try ur version...thnx for sharing sis.. Thank u.:) I would be honoured if you could visit my blog and provide me your feedback. Hi Chitra..for authentic bisi bela bath powde.. don't we need to add dry coconut (kopra). Ps I like your blog and way of explaining. You can get byadge chillies in all big departmental stores.Ask for Karnataka chillies.Please check this link.I have shared an image for this chilli. 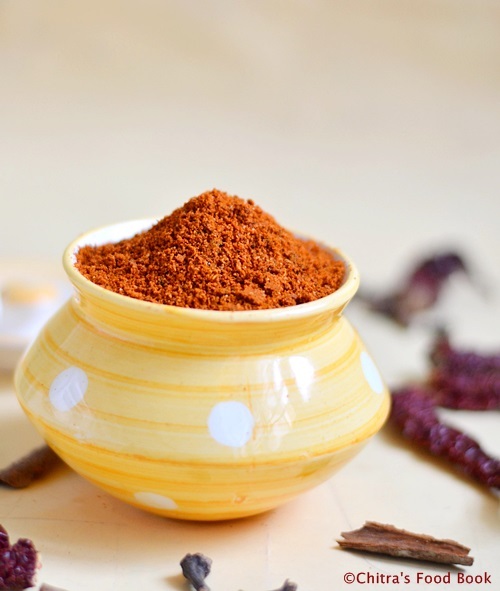 Can I also add Star Anise as part of the powder?